At Chesterfield Valley Dental, our first priority is taking care of your dental health. We are dedicated to making your visit comfortable, relaxing, and, above all, enjoyable. Our exemplary team is second to none, with an experienced St. Louis dentist leading a team of carefully selected professionals who are committed to exceptional care. We know how busy life can be, and there's no reason why a visit to our office can't be quiet detour from the fast lane! Our team members were hand-selected for their skill, expertise, and ability to make our patients feel welcome and at home. If there's anything we can do for you, simply ask. To schedule an appointment or free consultation, please contact Chesterfield Valley Dental today. Our St. Louis dentistry practice also proudly serves O’Fallon, Wildwood, Ballwin, Ellisville, and St. Charles. We welcome new patients and will work hard to earn your loyalty. We invite you to learn more about us, and we look forward to meeting you, too! Dr. Rahm really enjoys getting to know his patients personally - it's the best part of his day! Many of our patients are friends, neighbors, family and other members of our schools and community. His goal is to personally care for each patient as he would his own friend or family member. He believes in patients having a dentist to care for them over a lifetime and is proud to be a local small business owner in our community. After earning his bachelor's degree from the University of Utah in Salt Lake City, Dr. Rahm received his dental degree from Marquette University in Milwaukee, Wisconsin. 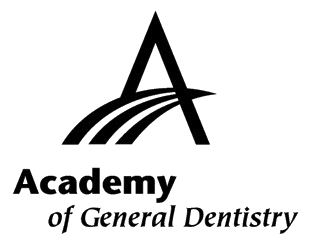 He is a member of the Academy of General Dentistry and dedicates many hours to continuing education each year to understand the best techniques to treat his patients. 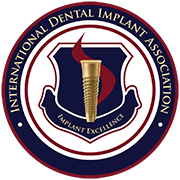 He is certified with the International Dental Implant Association and is a SPEAR Faculty Club member. 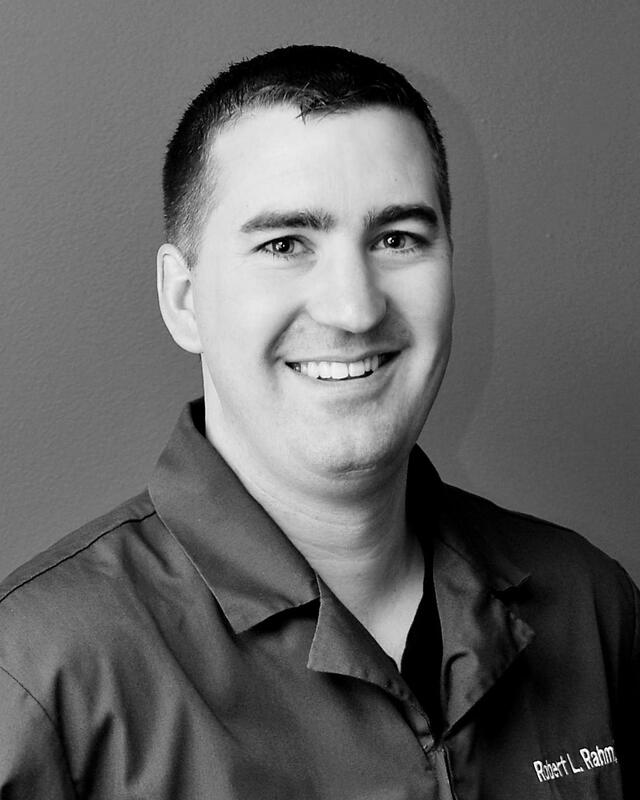 He is passionate about Continuing Education in dentistry. Dr. Rahm previously owned Woods Mill Dental Care in Chesterfield and merged the two practices to our current location in Chesterfield Valley in December 2014 after the previous owner, Dr. Robert Goldman, passed away. Dr. Goldman established this practice in 1981 and it was aptly renamed Chesterfield Valley Dental after a move to the Valley in 2003. Dr. Rahm is dedicated to continuing Dr. Goldman's long standing reputation of patient focused, quality dental care, delivered with personal attention! Dr. Rahm was born and raised here in the West County area. He and his wife, Amy, have been married since 2001 and have three energetic boys who attend school in the Parkway School District here in Chesterfield. Amy helps behind the scenes at our office. She has a bachelor's degree in Business/Marketing and is a photographer by hobby.Being raised in St. Louis, Dr. Rahm is a Cardinals fan and grew up on Ted Drewes frozen custard during weekly visits to his grandmother's house. He is an active member of his church and he and his wife enjoy volunteering there. When he's not busy with dentistry or church, he can be found wrestling with his three boys or playing an intense game of street hockey with them in the driveway. And, last but not least, the most popular question to ask in St. Louis is- "Where did you go to high school?" 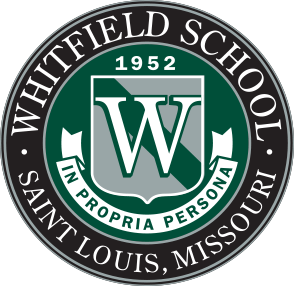 Dr. Rahm attended Whitfield School and was inducted into the inaugural class of Whitfield School's Athletic Hall of Fame in 2016 at the school's Cady Athletic Center. Ask him about wrestling when you come in to visit! To schedule an appointment or free consultation, please contact Chesterfield Valley Dental today. Our St. Louis dentistry practice also proudly serves O’Fallon, Wildwood, Ballwin, Ellisville, and St. Charles. We welcome new patients and will work hard to earn your loyalty. Melinda is originally from Lebanon, Missouri. She attended the University of Missouri–KC's school of Dental Hygiene, where she earned her Bachelor's degree. Melinda has over 20 years of experience and her patients absolutely love the care and attention she gives to their teeth. She is known for building lasting relationships with her patients and we've often been told that patients experience "the best cleaning of their lives" after leaving her chair. She is a huge fan of the Sonicare Easy Clean Toothbrush. Melinda says her patients end up being like family to her. She wants everyone to enjoy smiling! When she's not cleaning teeth, Melinda loves hitting up Chimi's Mexican for a meal, cheering for the St. Louis Cardinals and spending time with her family and three children. She also plays piano and guitar and loves running and being active with her dog, Mya. Melinda has been with Chesterfield Valley Dental since 1997 and she is one of the reasons patients keep coming back! Charissa is a hometown girl from St. Louis! She attended Southern Illinois University at Carbondale, where she received her Associate's Degree in Applied Sciences – Dental Hygiene. Our patients love her outgoing personality and her ability to connect with them. She has been a hygienist for over 20 years and her experience instills confidence in our patients. When she brushes, she chooses Sonicare toothbrushes and Colgate toothpaste. When she's not cleaning teeth, she's having fun with family and friends. Charissa is a Cardinal's fan and her favorite restaurant is Tucker's Place. She and her husband and their three sons love spending time with nearby family and at the kids' activities on the weekends, which include many sporting events! Charissa loves her job as a hygienist. Her smile and positivity are contagious! Carley's hometown is St. Charles, MO. She attended St. Charles High School and St. Charles Community College. She completed her Dental Assistant training at Anthem College. After working as Dr. Rahm's assistant for a year, she is now at our front desk as the patient coordinator. Carley is usually the one who will answer your call, get you scheduled and help you feel welcomed at our office! Her friendly smile helps put even our most nervous patients at ease. Carley is a Packers fan and also loves to cheer for Ohio State University. Her toothpaste of choice is Colgate Sensitive. She is married to her high school sweetheart and they enjoy playing with their dog, Chunk. When she's not busy helping patients, she loves catching up on Netflix! Ann lives in St. Charles and has called it home for the last 30 years. She's worked in the dental field since 2005 and really enjoys it. One of her favorite things is getting to know the patients and seeing them return year after year. She is great at remembering small details about their lives and visits to our office! Ann is our office coordinator; she handles questions about dental treatment and insurance and keeps us running smoothly each day. She and her husband have two children, one adorable granddaughter and... a Beagle! When she's not working, she and her husband like to walk their dog, go to Creve Coeur Park and make the trip downtown to eat at Blues City Deli. Ann is very knowledgeable and friendly! 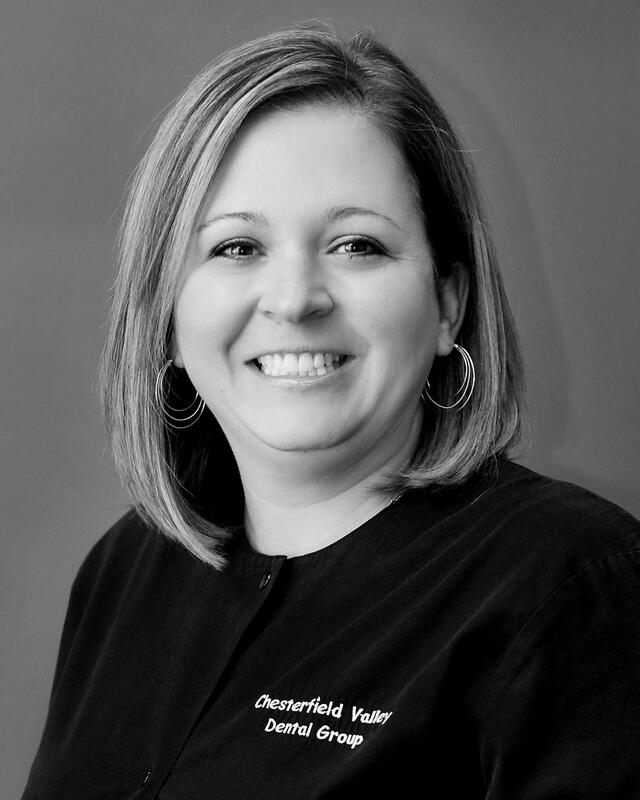 Her many years in the dental industry have really improved the patient experience at Chesterfield Valley Dental! 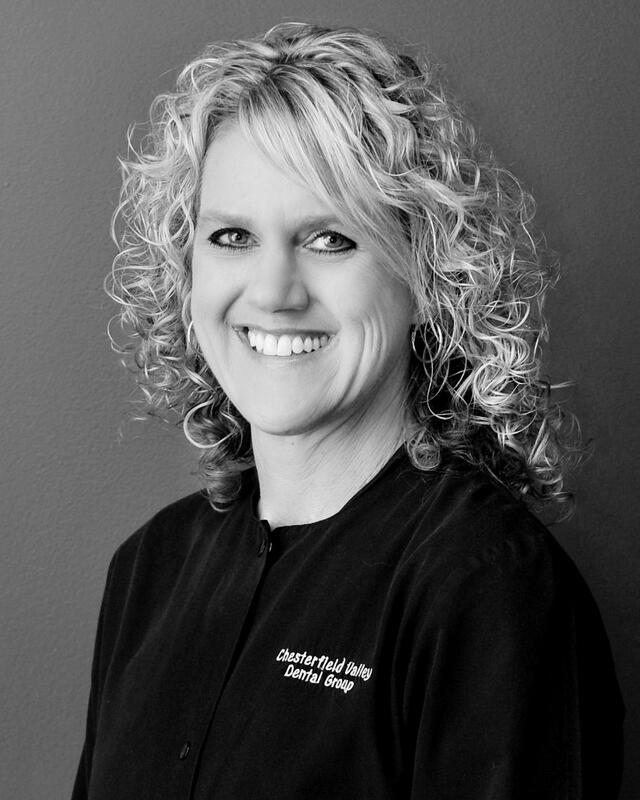 Brandy has been a dental assistant for over 20 years! She recently joined our team and has brought so much experience to our approach to dental treatment. Brandy is great with patients, making them feel comfortable in the chair and explaining treatment and post operative care. She is caring, helpful and efficient and we know you'll love her too!